Just wanted to share some pretty little baby clothes that I've made for a new member of my family. 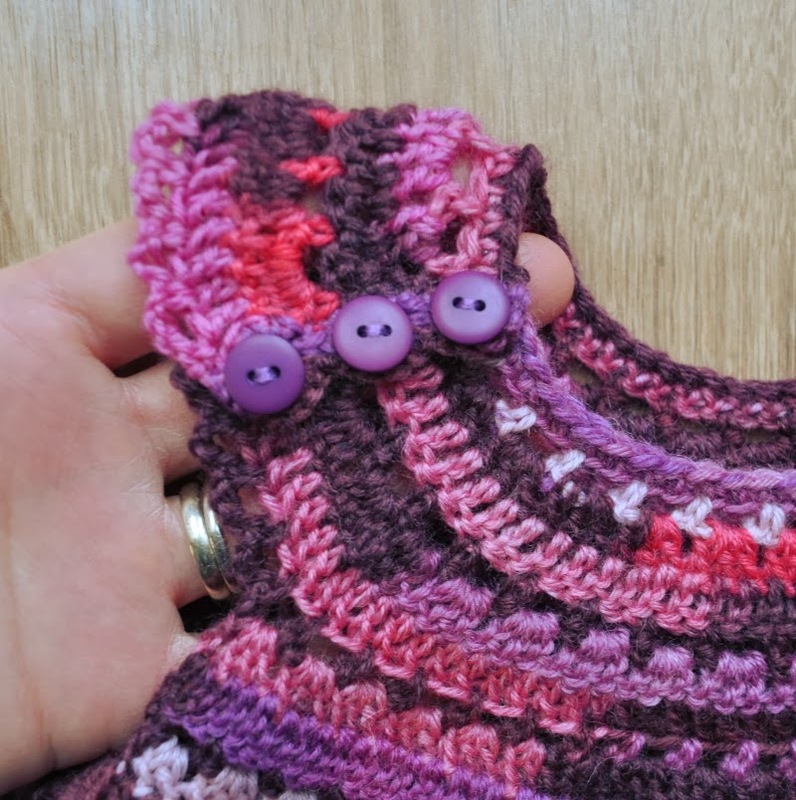 This baby dress is one of my favourite things to make - really enjoyable to crochet, works up quickly and always turns out well. Pattern is by Marianne Cant and was published in Inside Crochet Magazine issue 9. Previously blogged about here. 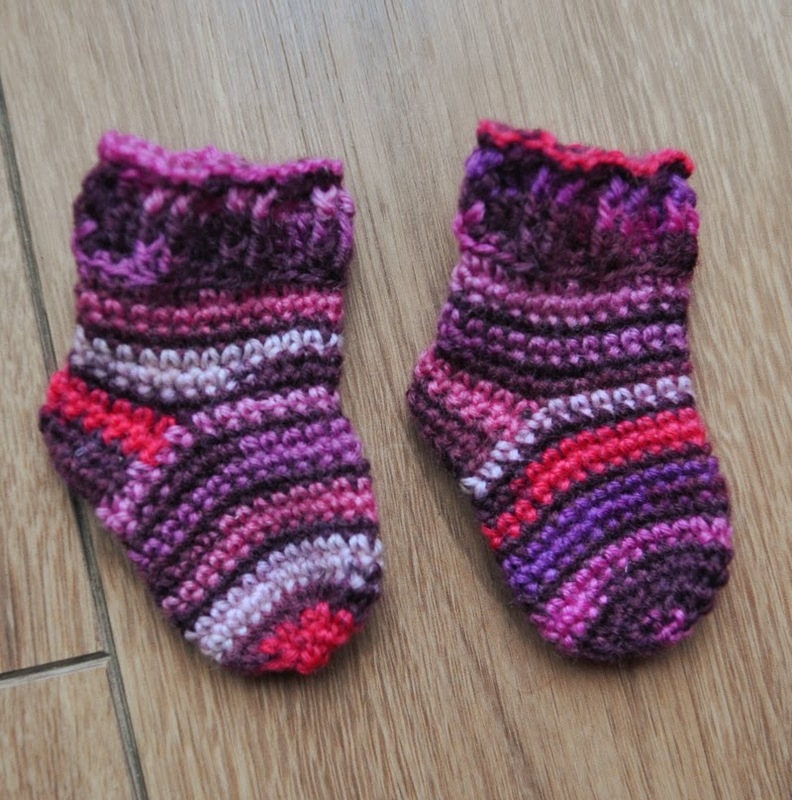 Baby socks were made with what I had left of my lovely Regia Design Line 4 ply yarn - had to improvise my own pattern as I was very tight on yardage. Love how they turned out and hope they just about managed to fit! That dress is gorgeous :-) love the matching socks!